Two Catholic moms. One faith. It’s Beginning to Look a Lot Like–Advent? Dear Anne, I used to think my neighbors were crazy. Each year they would put up their Christmas tree and decorate it on Christmas Eve after their kids (all nine of them!) went to bed. They waited until the 24th for carols and Christmas cookies. I thought they were gluttons for punishment (with nine kids,… Continue reading It’s Beginning to Look a Lot Like–Advent? Has Christmas Become a Hallmark Holiday? Dear Susan, I once had a friend who derided certain holidays, like Mother’s Day, as “Hallmark Holidays,” events that were created by card makers to prey upon our sentimentality – and guilt – all of which translated into increased card sales for them. It wasn’t until a few years ago that I recognized Christmas… Continue reading Has Christmas Become a Hallmark Holiday? They are everywhere. Their flat eyes follow me as I go about my daily business, not judging necessarily, but taking note of all my movements and actions. Have I suddenly gone in the witness protection program? Do I owe someone money? 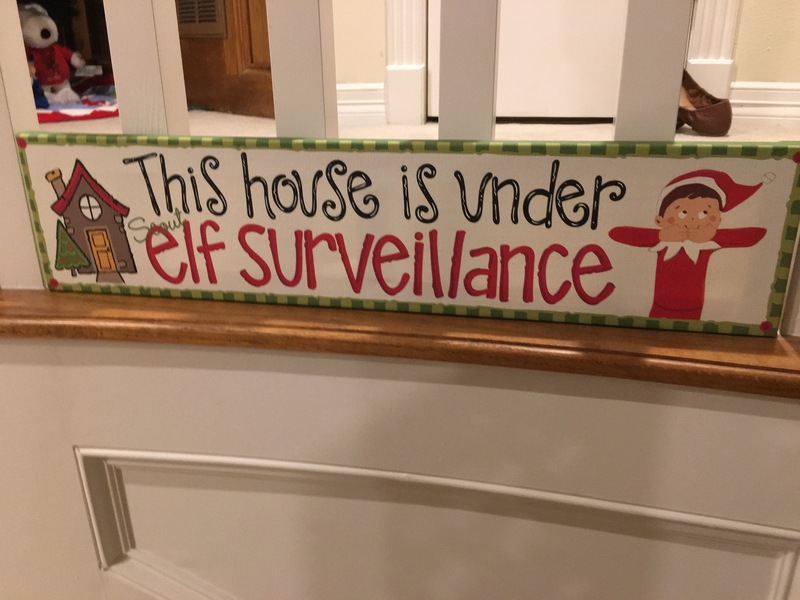 No, it is simply the Christmas Season and our house is under Elf Surveillance. Depending on your point of view, you were lucky to have missed the Elf Juggernaut with the boys. In the last ten years, parents have had a love-hate relationship with the Elf on the Shelf but few can dispute the motivational opportunities available in possessing a secret agent who reports nightly back to Santa. Most of my kids’ teachers have used them as well. Mac (short for Mac and Cheese, his favorite food) is currently rampaging through my daughter’s second grade class. The rules are simple. You get your elf, name him or her, and from Thanksgiving on, the elf moves around your house, watching the kids and reporting back to Santa. You can’t touch the elf or it loses its magic. 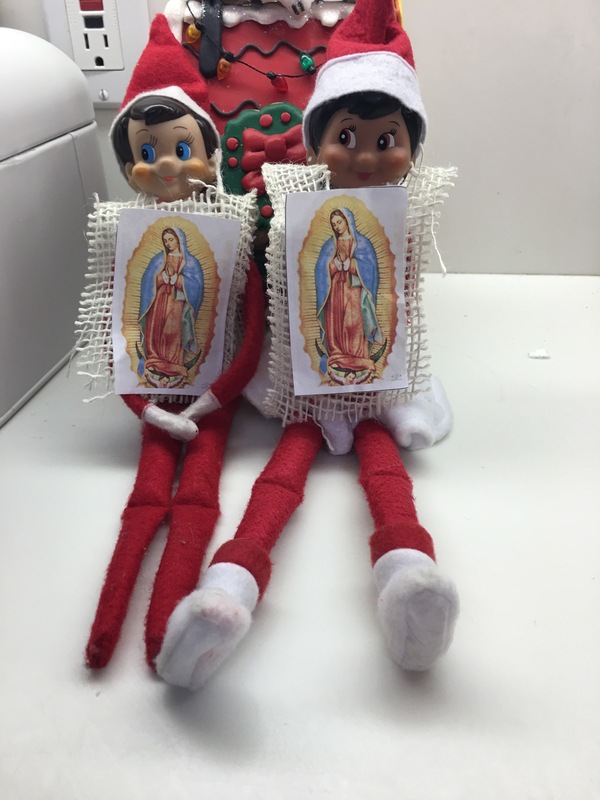 We are up to four elves now: Tiny and Bella (the originals), Coco (our Latina elf), and Stealth (the Ninja elf). We even have Elf Pets: Candy Cane the reindeer and Magi the dog. Originally, we fell for the elf hot tub parties with Barbie, joy rides in toy vehicles, bowling with the Wise Men, tea parties with plush characters and turning our milk green. We once did an entire week based on toilet paper pranks alone. I used to keep a calendar of ideas for each day leading to Christmas. Maybe we have more work to do. A weird thing happened doing Elf on the Shelf all these years. I realized that I am a better person during Advent with the elves. I may not always do my daily prayer devotions during Advent but I have never missed a day with the elves, and that is a daily devotion of a different sort. In helping my kids to re-focus, I re-focused. I have even found myself watching my language and behavior as they gaze down at me. What will my daily report look like? The elves remind me that I am never truly alone. The last morning the elves make an appearance is Christmas Eve and they always end up in our Nativity scene with a farewell letter (bt-2013 ). In rhyme. I don’t know how much the kids got out of it but it usually gets my husband to tear up. You might be thinking after reading all of this, “Are the elves really for the kids? It sounds like they might be for you.” Absolutely. This Christmas, think about getting your own elf. Then, put away your ego for the season and open yourself up to the real presence of God in your life – whether or not it comes in a red suit. We Are an Easter People--Even When it's Snowing?